The Woolwich Ferry (sometimes also called the Woolwich Free Ferry) is a free vehicle ferry service across the River Thames in East London. 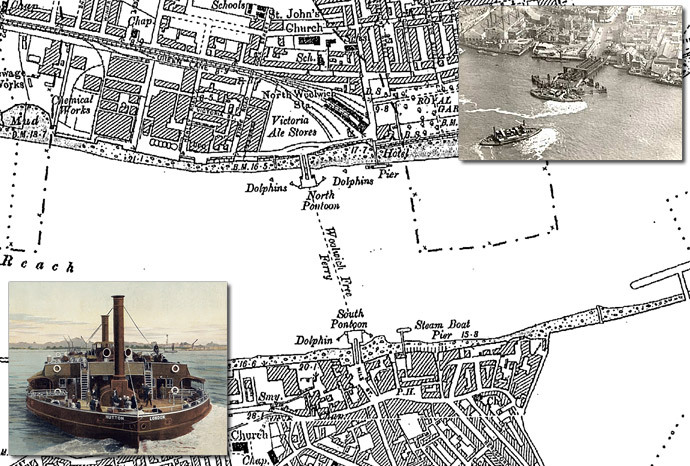 There has been a connection between what is now Woolwich and North Woolwich across the Thames since the Norman Conquest. The area was mentioned in the Domesday Book as 63 acres belonging to Hamon, the steward. There is also evidence of a ferry service in the area since the early 14th century. In the first half of the nineteenth century a commercial ferry operated in Woolwich between 1811 and 1844, but the company failed and the service ended. In 1880 local pressure began for a renewal of such a service provided by the town authorities, but costs were prohibitive, and eventually the Metropolitan Board of Works was brought in to manage the embryonic project. Following the establishment of the Metropolitan Board of Works, which had taken over toll bridges in west London and opened them to free public use, it was suggested that the Board should fund a free crossing of the Thames in east London. The service was instigated in September 1887 by Sir Joseph Bazalgette, famous for the significant impact he had both on London’s appearance and, through his design of an efficient sewage system, on the health of its inhabitants. The service was officially opened on 23 March 1889, with the paddle steamer Gordon. Two days before the first service, the Metropolitan Board of Works was replaced by the London County Council (LCC), and the opening ceremony was conducted by Lord Rosebery instead of the expected Bazalgette. The ferry typically attracts about two million passengers a year, although many cross-river foot passengers now take the foot tunnel beneath the river, alongside the ferry route. Further competition arrived in 2009 with the extension to Woolwich of the Docklands Light Railway, which crosses under the river to the east of the ferry route. Sadly for history it seems inevitable that a bridge upstream of the ferry will be built, making crossing faster for the cars and lorries that use the service, with doubtless the demise of the ferry following the opening of that bridge. Lewes and the UK’s deadliest avalanche! Lewes is the county town of the administrative county of East Sussex. With a population of just over 16,000 the town sits in a gap in the rolling South Downs, cut through by the River Ouse. 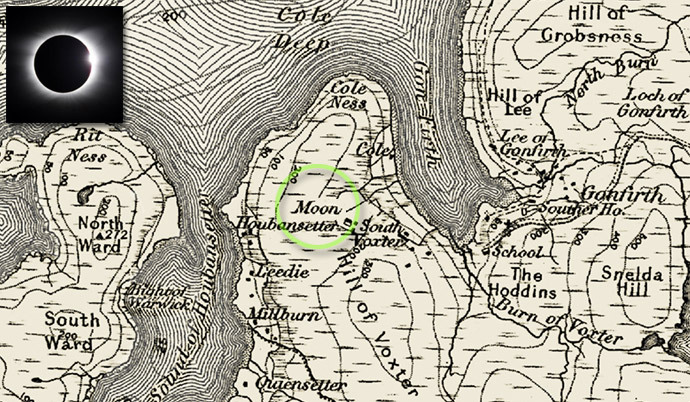 All the more surprising then that on 27 December 1836 it was the location for UK’s worst avalanche disaster. South East of Lewes looms Cliffe Hill, rising to 164 metres above sea level. The hill has a steep sloping western edge which dominates the eastern view from the town. In 1836, a row of seven flimsily constructed workers’ cottages called Boulder Row (or Boulters Row) stood immediately at the foot of Cliffe Hill. The winter of 1836–1837 was exceptionally severe across the whole of Great Britain, with heavy snow, gale force winds and freezing temperatures. Very heavy snowfall began over the South Downs, on 24 December 1836, and continued unabated over the Christmas period. Strong winds at the same time created blizzard conditions, with reports of snowdrifts over ten feet high in some areas of Lewes. The accumulation of snow at the top of Cliffe Hill, driven by a particularly severe gale on Christmas night, had formed a large overhanging edge of snow on the hill’s almost sheer western edge. The inhabitants of the cottages below were warned that they could be at risk and were advised to leave their homes, but for reasons known only to themselves they chose to ignore the warning. At 10.15 on the morning of Tuesday 27 December the ridge collapsed, producing an enormous avalanche directly onto Boulder Row. The Sussex Weekly Advertiser, reporting an eyewitnesses account, stated: “The mass appeared to strike the houses first at the base, heaving them upwards, and then breaking over them like a gigantic wave. There was nothing but a mound of pure white.” A rescue operation by townspeople succeeded in pulling seven survivors from the wreckage, but eight other individuals were found dead. A public house called the Snowdrop Inn (named in commemoration of the incident) was built on the site once occupied by Boulder Row, and still trades under the same name to this day.